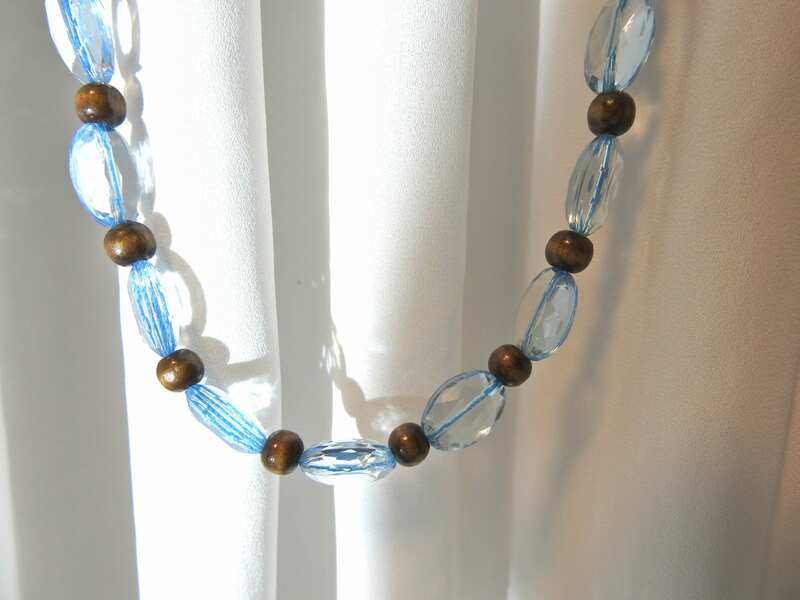 Looking for some blue necklaces for women, vintage and simple, perfect for every day. 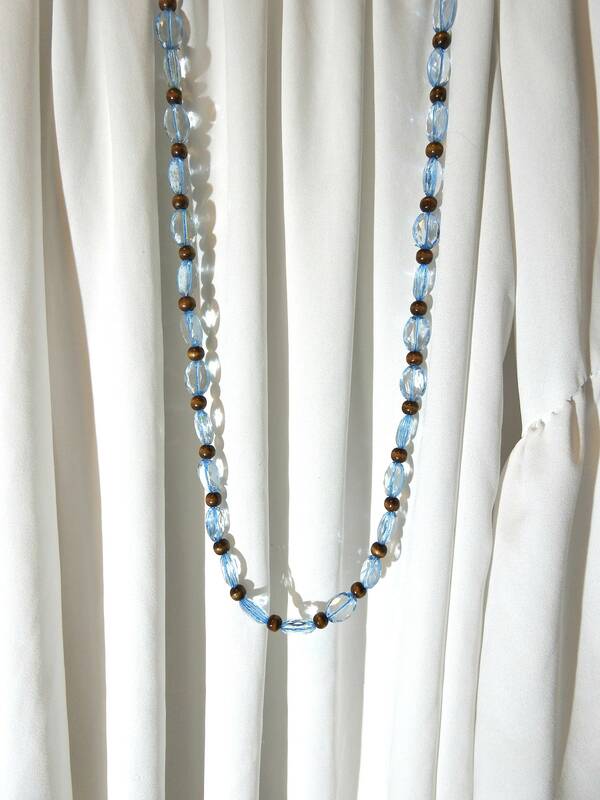 This light blue necklace is the perfect jewelry for any outfit. 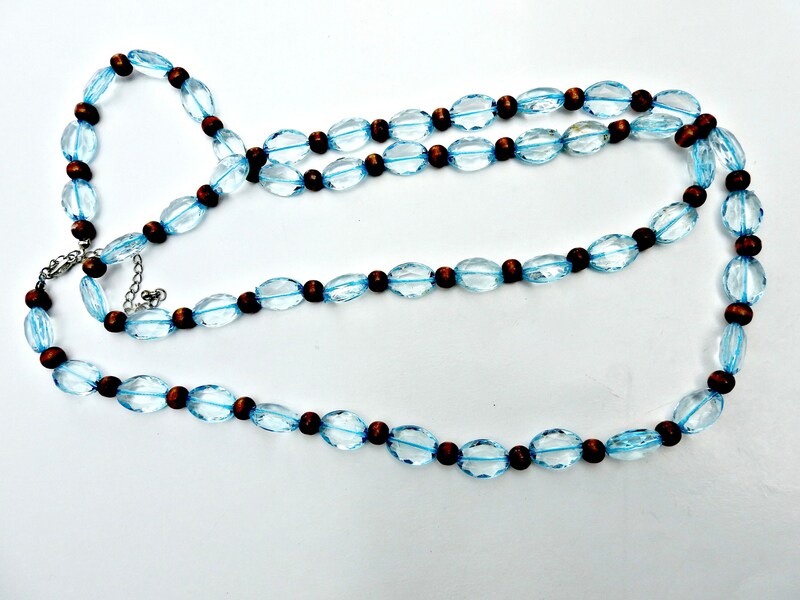 This rope necklace for women is both a great choice and a great bargain. 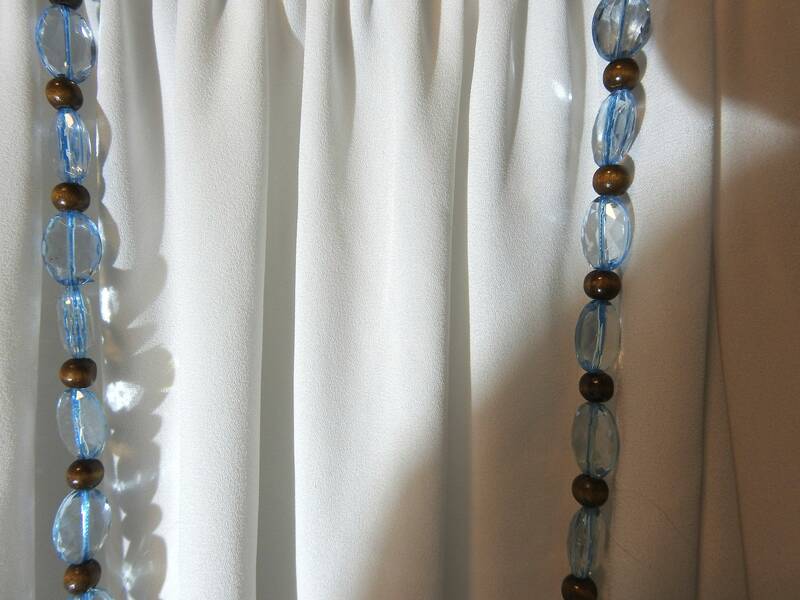 ✔ Color: Light blue and brown. ✔ Vintage, very good condition. 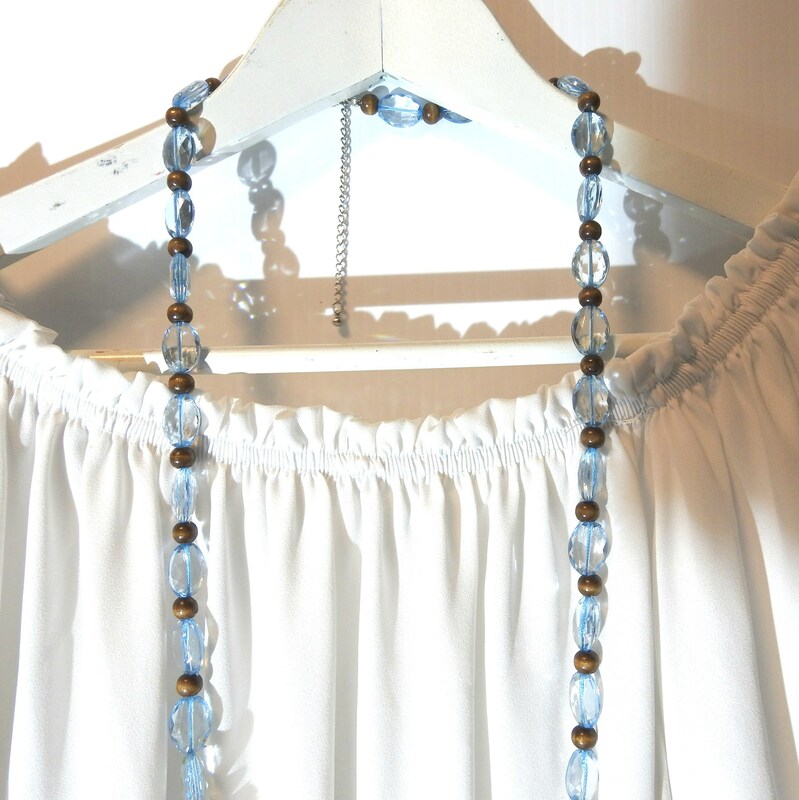 ✔ Perfect for a little boho white summer dress! 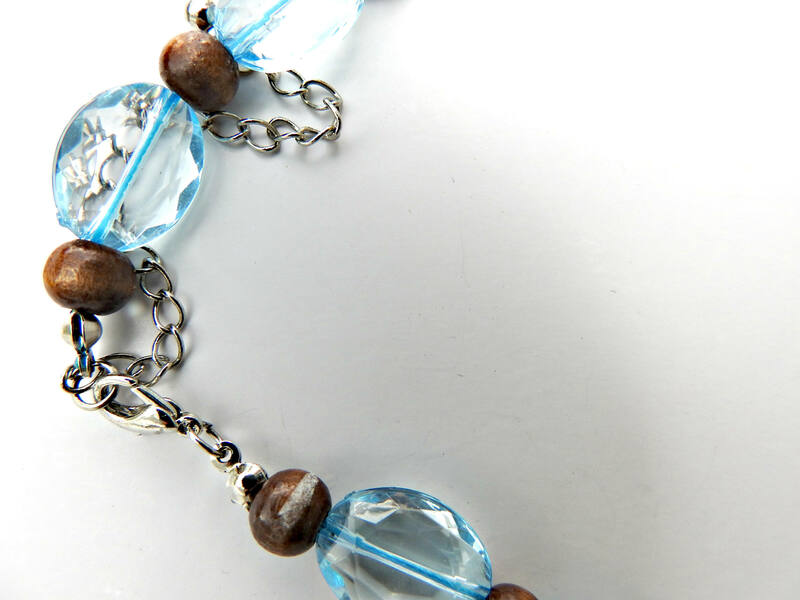 Thank you for exploring my little vintage clothing and jewelry boutique, Treat yourself and buy this light blue necklace!